The likes of Poldark’s Ross (Aidan Turner) and Game of Thrones’ Jon Snow (Kit Harington) have both been spotted on set snuggled in the British brand’s latest Advance design, a £130, lightweight water and windproof chill slayer. Founded eight years ago by surfer Gideon Bright, the Devon-based SME’s products are designed in the UK and manufactured in China and sold either directly or through specialist retailers in the UK, mainland Europe and the US. Athletes in wide range of sports including triathlon and mountain biking, as well as campers and dog walkers are among its growing fanbase. “dryrobes are robust and designed to go over wet clothes and whole outfits so changing is easy and discreet. Wardrobe departments like them because they protect actors’ costumes,” explains Bright who points to people pursuing healthier and more active lifestyles as major factors too in the firm’s 30 per cent annual growth. The hardest design challenge was getting the lining right, he says. The business, which employs 16 full and part time, plans new lighter versions of the robe for use in hotter climates and places where modesty is a major issue. Its priorities for this year include expanding its supply network of sports clubs, teams and schools. 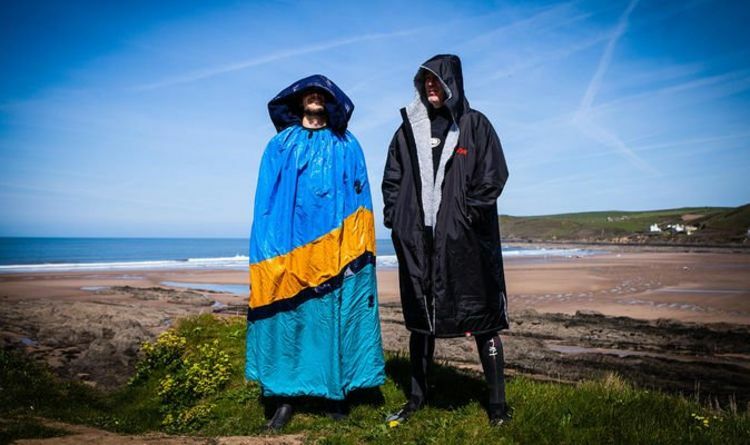 “dryrobes stop you freezing on a touchline or coming out of the water on to a windy beach, experiences that have put some off sports for life,” adds Bright.